REGISTRATION FOR THE 2018-2019 ACADEMIC YEAR IS OPEN! Leonardo Da Vinci Academy is an exceptional private school for children during their formative years. From Preschool to Grade 8, our unique and well-rounded programs aim to instill a love of learning and to challenge students to develop their whole potential. Our programs and methodology are inspired by Leonardo da Vinci and Maria Montessori. The importance Leonardo Da Vinci Academy places on Early Childhood Education is reflected in the quality of its two preschool programs: Casa Montessori and Scuola Materna. Both employ well-qualified staff and are based on the methodology of Dr. Maria Montessori. Montessori education calls forth that which is within each child to promote spiritual, intellectual, social and creative development. Children are naturally curious and are driven from within by an “absorbent mind” to absorb everything from their environment. If free to learn, they will joyfully select activities that develop their innate abilities. A true prepared Montessori environment fulfills this innate need to learn and grow by allowing children to learn through mastery and manipulation of the Montessori materials. Our Montessori trained teachers serve as the dynamic link between the children and the materials. Montessori is the perfect complement to LDVA’s formative “Thinking Like Leonardo” philosophy. Preschool graduates are very well prepared for the Academy’s Lower Elementary. Our Elementary programs begin with Lower Elementary Montessori (Grades 1 to 3) which is a natural progression for graduates of our Casa or Scuola preschools. Lower Elementary is an accredited Montessori program for children aged 6 to 9. At this level the goal is to instil a love of learning, independence, and self-confidence while exploring a wide range of subjects. Our Upper Elementary program begins at grade 4 – a transition year from a full Montessori environment to a more traditional classroom setting. In preparation for high school, students will be provided with textbooks and introduced to homework and formal tests. In core subjects like Mathematics, Science, and Language Arts, students follow an enriched Ontario Ministry of Education curriculum. In addition to a homeform teacher, students will also have specialist teachers for various subjects including Music, Art, French, Italian, Religion and Physical Education. At all levels and across the curriculum LDVA students are encouraged to develop a “Thinking Like Leonardo” approach to lifelong learning. LDVA was founded in 1983, on principles inspired by Leonardo da Vinci and Maria Montessori. In keeping with the concept of Plato’s Academy, the school embraces the Montessori methodology and a unique “Thinking Like Leonardo” approach to learning. A rich and well-rounded program of studies along with a nurturing philosophy of education help to nurture the growth of lifelong learners and independent thinkers. Grade 8 graduates are well-prepared for high school and the future. 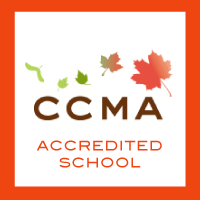 The school features CCMA accredited Casa (a licensed preschool for 2.5 to 6 year olds) and Lower Elementary Montessori programs, and an authentic Italian immersion preschool.